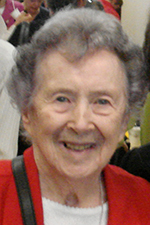 Sister Ethna Marie O’Doherty, SNJM departed this life on December 17, 2016 at Marie Rose Center, Mary’s Woods, in Lake Oswego, Oregon. Sister Ethna Marie had celebrated 97 years of life and 73 years of religious profession. 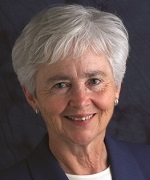 Sister Eileen Brown departed this life on September 6, 2016 at her residence in Gladstone, Oregon. 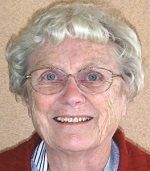 Sister Eileen had celebrated 85 years of life and 65 years of religious profession. Sister Guadalupe Maria departed this life on July 23, 2016 at Our Lady of Fatima, Saratoga, California. She celebrated 81 years of life and 61 years of her religious profession. 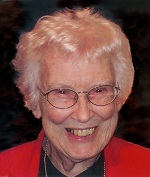 Sister Anne departed this life on July 21, 2016 at her home in Silver Spring, Maryland. 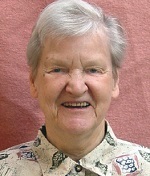 She had celebrated 75 years of life and 56 years of religious profession. Patrick and Mary Genevieve Casey McCluskey were blessed with six children, the fifth being Anne, fondly known as Nancy, who joined the family January 15, 1923. All the children were born in Seattle, Washington. 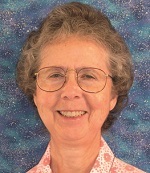 Anne finished Sacred Heart Elementary School and Immaculate High School before entering the Sisters of the Holy Names of Jesus and Mary at Marylhurst, Oregon. 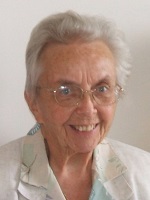 Sister Mary Spellicy (Sr. James Bernard), a Sister of the Holy Names of Jesus and Mary for over 60 years, died on Saturday, May 21, 2016, at St. Joseph’s Provincial House in Latham, New York, after a brief illness. 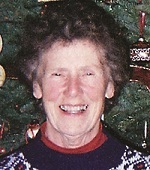 Sister Mary was born on April 28, 1933, in Rome, NY, to the late Theodore and Mary Ann (Smith) Spellicy. Throughout her life, Mary was thrilled to be daddy’s little girl and the “baby sister” of her three older brothers. Though their lives and work stretched them the length of the East Coast, Mary and her two surviving big brothers and their families, Theodore (Betty) Spellicy of Sarasota, Florida, and Andrew (Maryellen) Spellicy of Stittville, NY, always kept warm and current connections. Departed this life on March 5, 2016 at Devonshire Seniors Residence in Windsor, Ontario. Sister Bernice had celebrated 74 years of life and 55 years of religious profession. Departed this life on March 5, 2016 at Our Lady of Fatima, Saratoga, California. 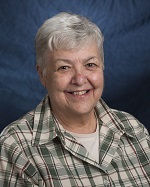 Sister Kathleen had celebrated 85 years of life and 64 years of religious profession. On December 23, 1928, in Seattle, Washington, John and Martha Cobine Qualley welcomed their second daughter, Carol. 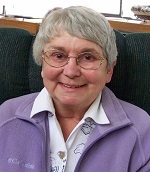 Carol was educated at Sacred Heart, Immaculate High School, Holy Names Academy, all in Seattle and graduated from Holy Names Academy, Spokane.